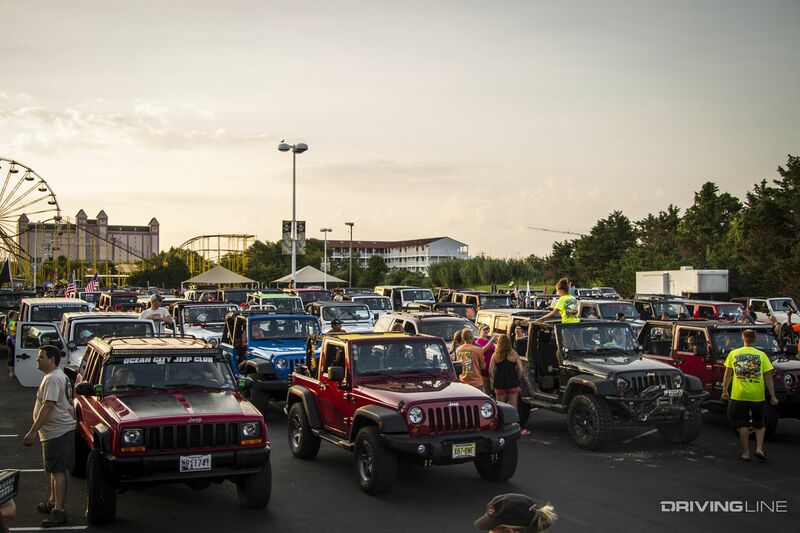 Each morning, bright and early, more than 250 Jeeps met to throw it in four-wheel drive and cruise the beach for Jeep Crawl. Typically closed off to public vehicle access, special permission was granted for each morning of OCJW. At over a mile long, the parade of Jeeps on the beach was a sight to see as it stretched along the coastline, especially for unsuspecting tourist making their way to the beach first thing in the morning. The crawl was open to all event participants. 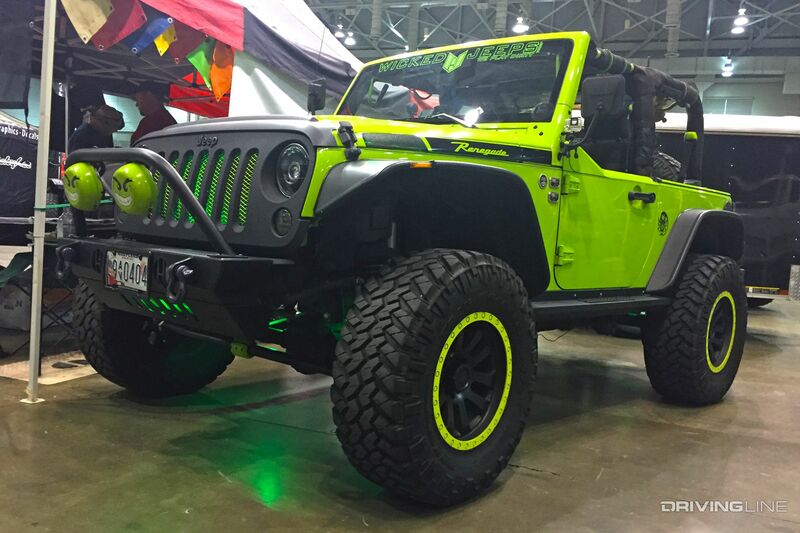 While it was dominated by Wranglers, there were a good mix of Jeeps from early CJs to late model JKs. 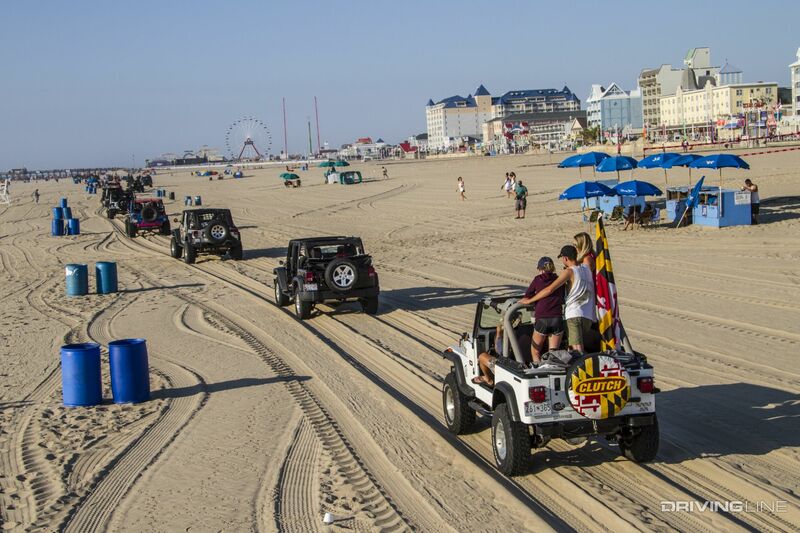 Kudos to the local beach patrol and police department for their help orchestrating the daily Jeep Crawls. 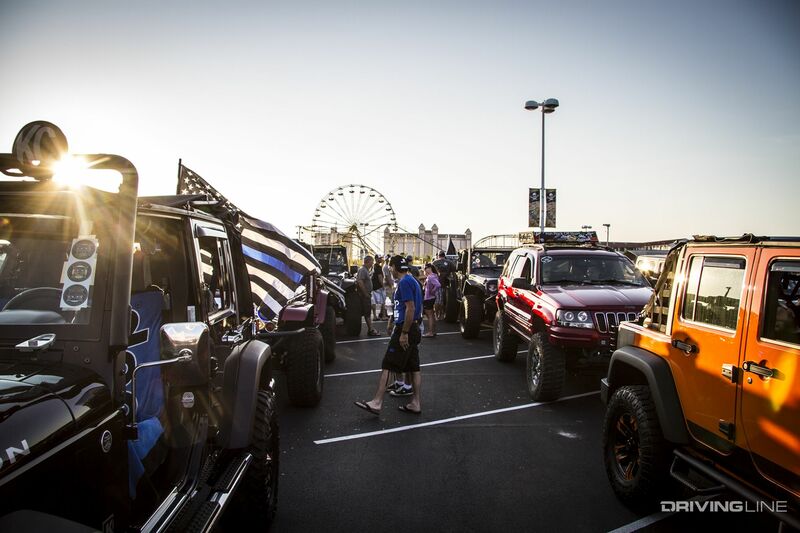 Several of the vendors made it out for the morning Jeep Crawls. BDS Suspension had Project KJ, its 2005 Jeep Liberty CRD running a solid axle swap, FOX coilovers and 40-inch-tall Nitto Trail Grapplers out on the beach. The crew from Eastern Truck & Accessories rolled deep with an awesome display at the vendor show and several trucks and Jeeps on display. 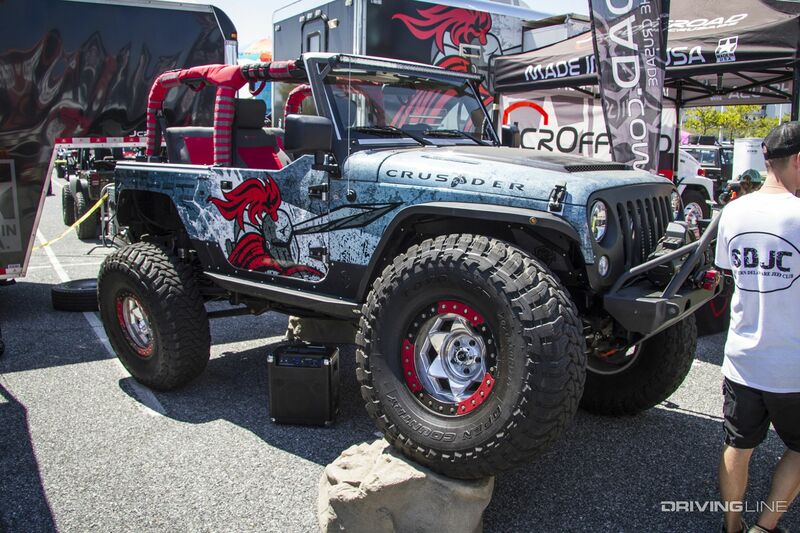 Each morning the company brought its 3.6L supercharged JKU and 5.7L Hemi powered JK-8 out to cruise the beach. 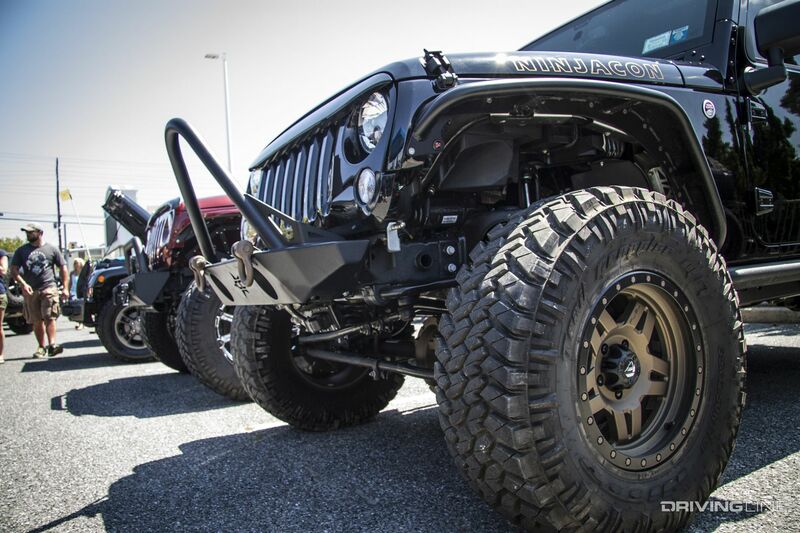 Both Jeeps are running Jspec 3.5-inch lifts, JCR Offroad armor and 37-inch tires with the JK-8 sporting a set of the new 37x12.50R17 Nitto Ridge Grapplers. Back in town, the convention center was filled inside and out with vendors showing off the latest products, giving demonstrations, and offering show specials. 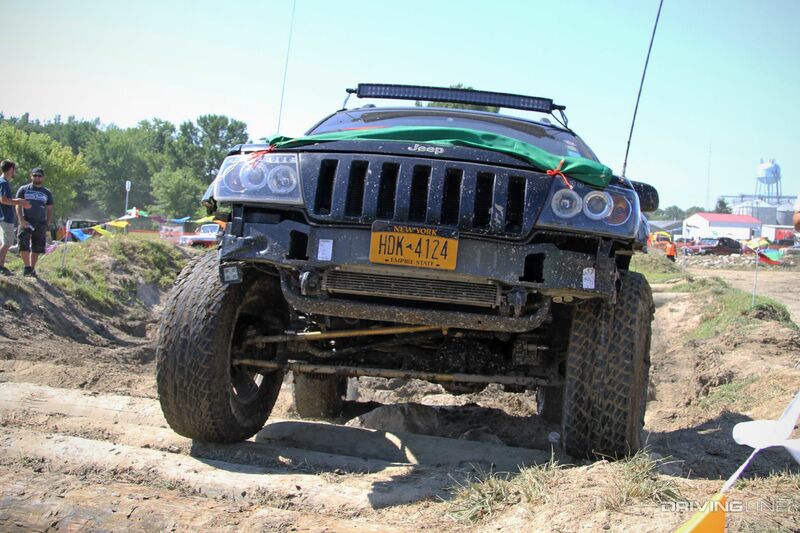 The Stinger Shuttle monster truck gave rides around the parking lot and hundreds entered their Jeeps in the various show-n-shine classes hoping to bring home one of the coveted trophies and bragging rights. 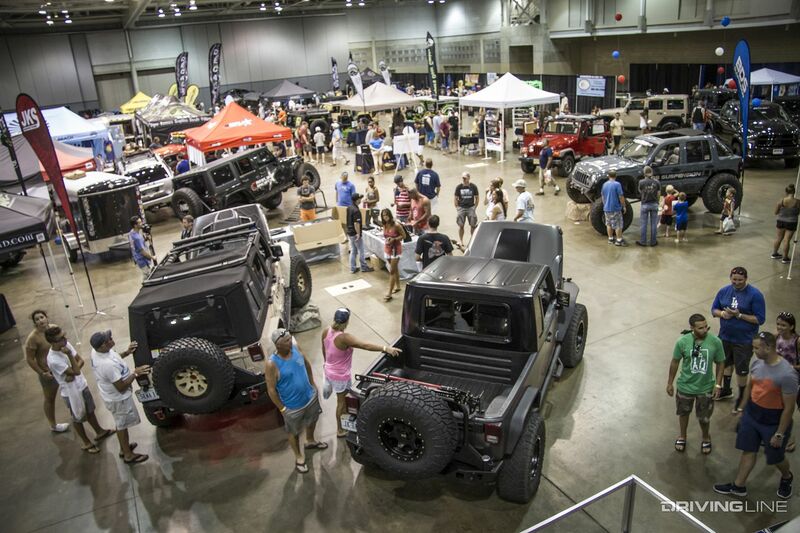 Inside the vendor show at OCJW was a collection of classic Jeeps, all restored and in showroom condition. 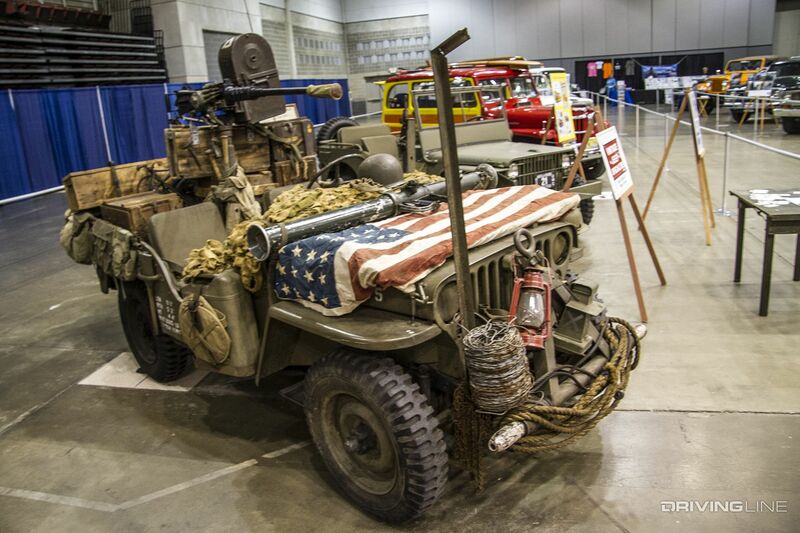 The display included a battle-tested flatfender, primo Willys wagon, CJs, Grand Wagoneers, a FC tow truck and a Cherokee Chief among others. 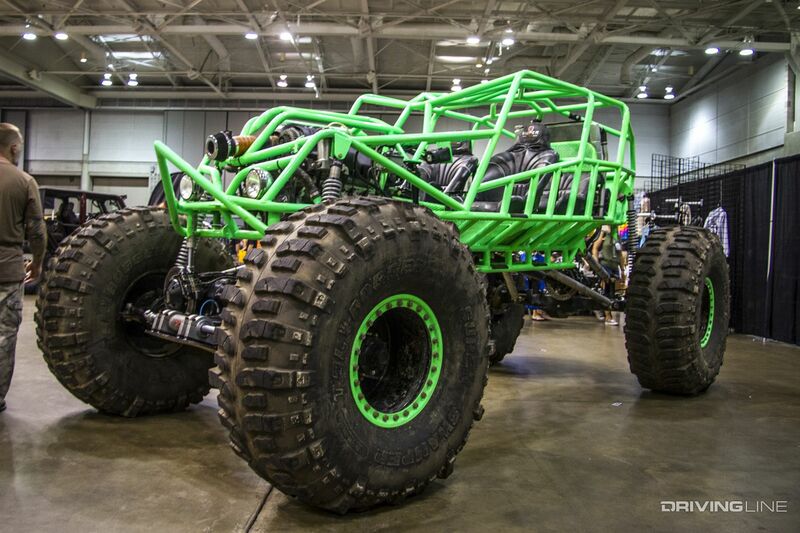 The Metal Shop’s Jeep M715 based monster truck the “Saigon Shaker” was a crowd favorite among kids and adults alike. The Metal Shop also brought other M715 projects on display and had a makeshift fab shop set up to build one of their “newest” old military trucks live throughout the event outdoors. 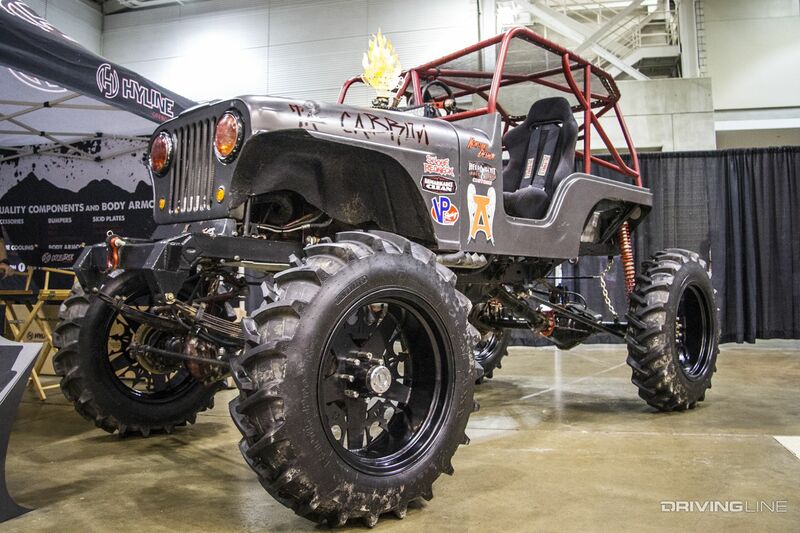 One of the more interesting builds we spotted at the show was this late model Jeep Cherokee Trailhawk from MFC Offroad. 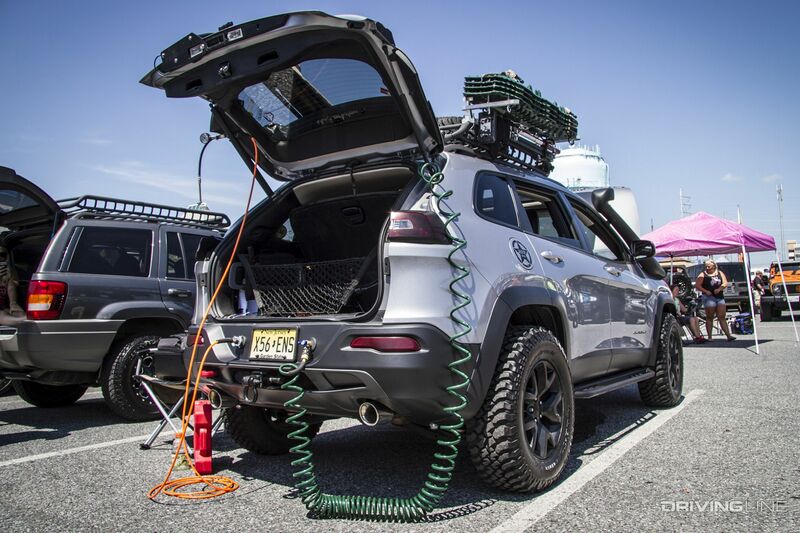 Love them or hate them, this Cherokee is ready for adventure with a 1.5-inch lift to clear the 32-inch-tall tires, Warn winch and recovery gear, TJM snorkel, fully loaded roof rack, and onboard air. 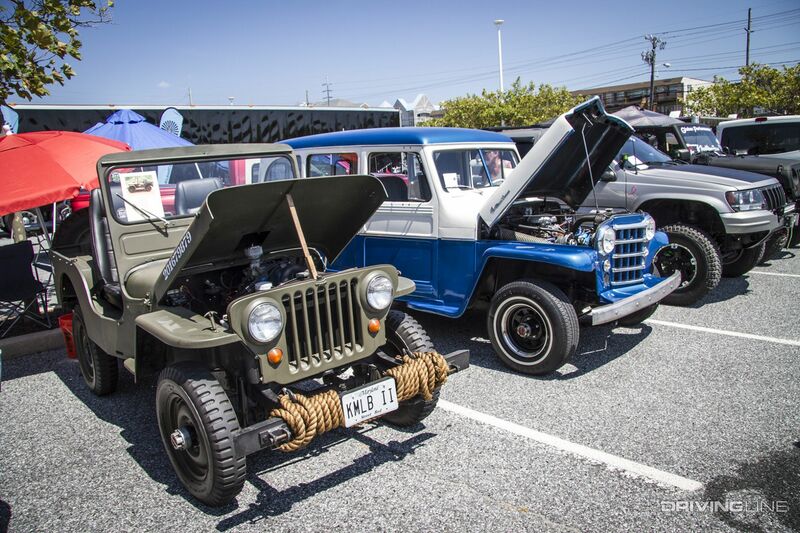 Just down the road in the town of Berlin, Maryland, OCJW holds a Jeep Jam event all week long that includes trail rides and obstacle course to for participants and spectators to enjoy. 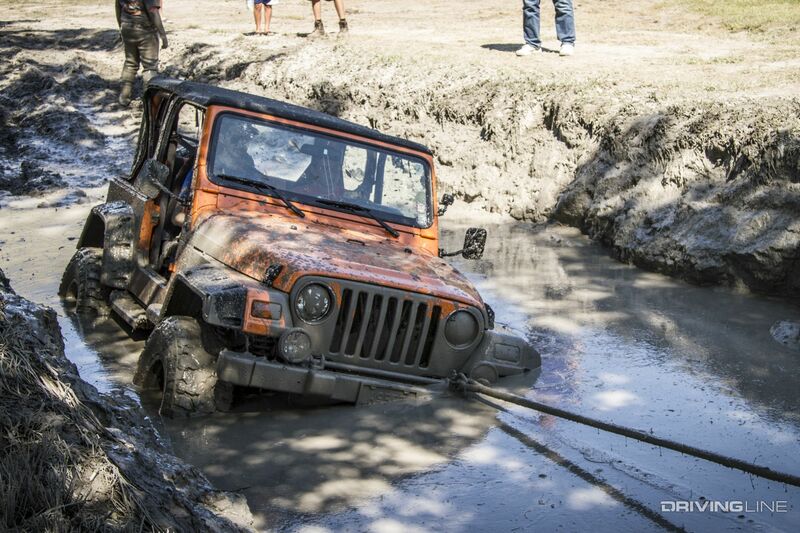 From beginners to experienced Jeepers, the course offered a range of obstacles to challenge man (or woman) and machine. Many even took on the mud pit; however, many struggled to make it out the other side. Enjoy our video above and make sure to check out more action from the event in our gallery below!